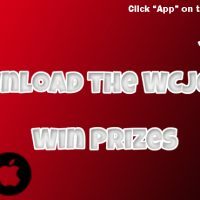 Win prizes by downloading the WCJC app. You can listen live on the app, get school delays, check out highlights and podcasts, and now, WIN CONCERT TICKETS! It’s free. Search WCJC on the App Store or Google Play!